Spain is proving to be one of the most attractive places for Bitcoin companies to set up. Unlike what happens in other countries, Bitcoin fits in the Spanish legal framework as a digital commodity. The proof of that is that our startup could be created with bitcoins as social capital just eight months ago, something we did consciously to start a dialogue with regulators and the Central Bank of Spain. Despite the fact that Bitcoin can be considered a digital commodity, as explained by Coinffeine’s law advisors Abanlex, there are small details that are still unclear and some potential uses that might concern regulators. 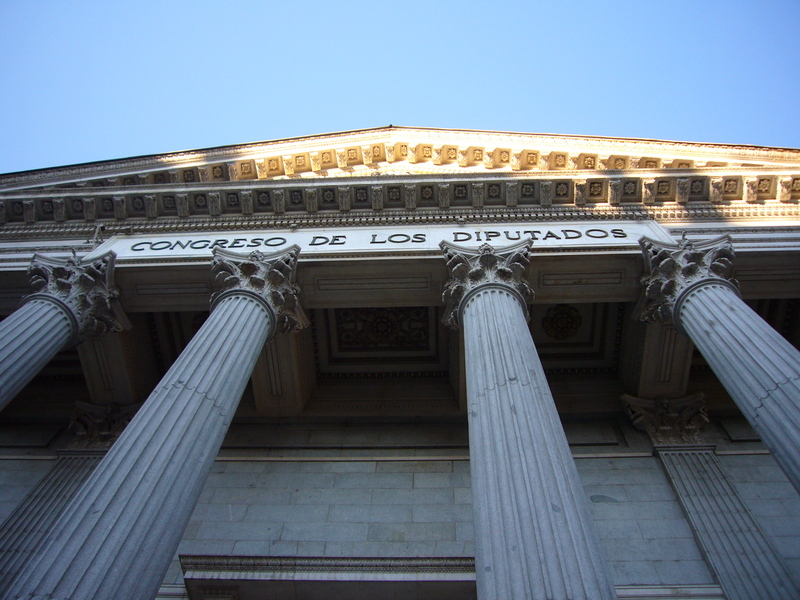 Because of these concerns, the political party UPyD has on several occasions urged the government to start a process in which these details are studied. On Monday February 16th, I accepted UPyD’s invitation to attend a meeting at the Congress of Deputies in Madrid, where we presented our vision as experts on the regulatory process. We attended this meeting with other experts in the field. Most notably Pablo Fernández Burgeño, expert in technology law and co-founder of Abanlex (a firm that recently won the case of “right to oblivion” against Google) and Jorge Ordovás, Director of the Department of Innovation of Means of Payment in the Digital Economy Forum. In the meeting, Deputy Carlos Martínez Gorriagán and UPyD parliamentary technicians agreed with Coinffeine that the main use of Bitcoin is currently as a speculative vector. To this end, and because one of the most common ways to acquire bitcoins is through traditional Bitcoin exchanges bearing cryptocurrency deposits, UPyD members were concerned about the limited guarantees that exists for users who make this kind of deposits. This is a very different scenario to the deposits of FIAT money, where a license that provides guarantees and counterparties are required. Coinffeine explained that Bitcoin fortunately fits in the Spanish regulations as a digital commodity without being required a specific regulation. We explained that the two issues that are still unclear are how Bitcoin should be taxed and if it should be compulsory to identify the customers in companies that support cryptocurrency deposits. The current regulation for digital commodities only brings uncertainty on these two points. These can be solved with simple questions to the Tax Agency and the SEPBLAC -Spain’s Financial Intelligence Unit (FIU) and AML/CFT Supervisory Authority-. On the other hand, a specific regulation on all legal aspects of Bitcoin could add friction to the entire industry, raise the level of complexity and requirements for the creation of new startups and jeopardize complex legal inconsistencies with other countries. We also discussed concerns about delays and responses that do not contribute clear solutions, as in the responses obtained by Coinffeine from SEPBLAC, or the possibility that the answers are inconsistent, as the response from the Tax Agency to the question formulated by Abanlex last September 2014. The lack of answers from the administrations, have made many Spanish companies explore the possibility to set up in the United Kingdom. The United Kingdom has been able to identify problems of inconsistency between administrations and the need to expedite responses to the Fintech industry. In October 2014, the UK finance minister announced the creation of Innovate Finance. UPyD has shown interest in the experience and decisions made in the UK to tackle the same problem that Spain is facing, and they have the intention of collaborating to replicate these success stories in Spain. Although Bitcoin is a digital commodity in Spain, the fact is that under the current rules it is taxed with VAT. This means that companies that sell bitcoins in Spain, such as Bitcoin exchanges or ATMs, must sell at price at least 21% higher than their American counterparts. This makes this business unviable in Spain. Coinffeine is at the moment the only legal solution that allows to buy bitcoins without paying the 21% VAT. It is all due to the magic of contracts between individuals.